• Join Excalibur OS Telegram. • We reserve the right to fix max token per stake at the end of Bounty program to protect the project, investors, participants and token price. • The distribution of the tokens to bounty participants will happen after the end of ICO. The actual amount of tokens you will get will be determined at the moment of such distribution. • Every week you must report your actions, if you don't report, the week is not scored. 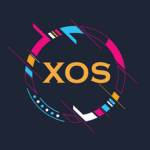 • You must make at least 2 (unique & meaning with a minimum length of 75 Characters) posts per week with hashtag #ExcaliburOS #XOS #ETH and link either to the BCT ANN Page (https://bitcointalk.org/index.php?topic=5032767), Bounty thread (https://bitcointalk.org/index.php?topic=5036871) or Excalibur OS Website (https://excaliburos.com/). If a post does not include one of these hashtag and links, it will be regarded as invalid. • You must make at least 2 (unique & meaning with a minimum length of 75 Characters) tweets per week with hashtag #ExcaliburOS #XOS #ETH and link either to the BTT ANN Page (https://bitcointalk.org/index.php?topic=5032767), Bounty thread (https://bitcointalk.org/index.php?topic=5036871) or Excalibur OS Website (https://excaliburos.com/). If a tweet does not include one of these hashtags and links, it will be regarded as invalid. Chinese, Japanese, Korean, Vietnamese, Arabic, Russian, Spanish, German, French, Turkish, Italian, Portuguese, Indonesian, Filipino, Hindi, Greek translation are required. Translations need to be proper in grammar and vocabulary. Translations must be original, no Google translate. If we will find that the text is translated with the help of automated translation tools, translator will be blacklisted, and no payments will be made. We do not need any Single Post Dead Thread. If you failed to keep the thread active and up to date, your reward can be reduced to 50% of the actual payment or you could simply be disqualified. Translators are expected to remain engaged in discussion about Excalibur OS on an thread specific to their language. • Your post must include at least 2 links: to https://excaliburos.com/ website, Excalibur OS ANN thread https://bitcointalk.org/index.php?topic=5032767, other Excalibur OS social media or to the other articles about the project. • Make sure you have full understanding of the Excalibur OS. Read the Excalibur OS project. 1. Join Excalibur OS Telegram (15 stakes). 4. Follow our Twitter: https://twitter.com/OsExcalibur (10 stakes). 6. Retweet our last tweet (10 stakes). 7. Follow and like our Facebook page: https://www.facebook.com/ExcaliburOS/ (10 stakes). 9. Like & Share our last post (10 stakes).